Ozeri are a manufacturer of digital lifestyle products for the modern home. They are based in the USA but are looking to expand into the UK market. 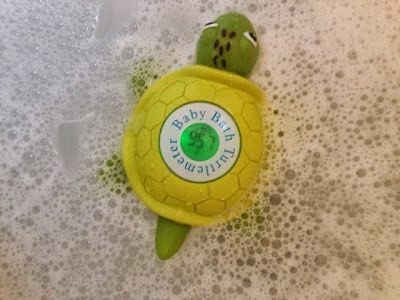 They very kindly offered us one of their Bath Turtlemeters to review. As soon as I received it, I was surprised at the size. It is a lot bigger than I expected. I couldn't wait to give C a bath and put it to use! Although it is quite heavy, it floats naturally on the water and is fully submersible. As soon as I placed it in the bath, it flashed blue to indicate that the water was too cold. 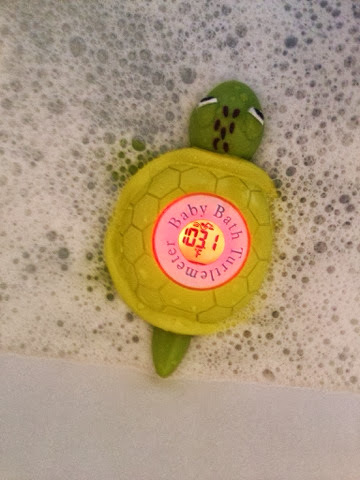 I added quite a bit of hot water to put the turtle through its paces and it flashed red as a warning. I then obviously, got it to the correct temperature so that C could have a comfortable bath and it flashed green to tell me all was good to go! 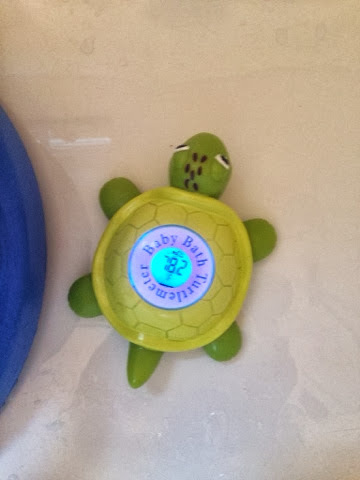 As soon as the Turtlemeter is in the water, it switches on. It is sensor activated so you don't need to fiddle with any buttons and it automatically checks the temperature every second. 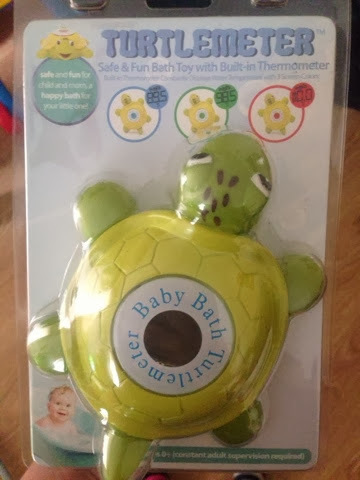 It also double up a bath toy for your little one! This Turtlemeter is perfect from birth (with adult supervision required). The temperature is recorded in Fahrenheit though, so I did need to break out my trusty converter! You can purchase your own Ozeri Turtlemeter from Amazon UK at a fab price of £9.99!